Love Live is serious business even until this day. Due to the immense hype, fans create their own content based from the series that range from doujins, fanfictions, song covers, and even fan-made video games. Thanks to one of my friends, he shared a link of what appears to be a Love Live fan-made mini game which features one of the main protagonists Honoka… and cars. Playing “HonoCar” is easy. 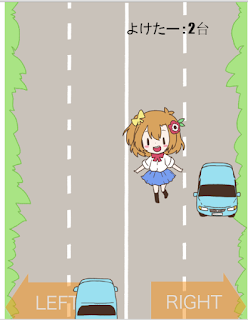 You just need to prevent Honoka from hitting the blue cars using the left and right buttons on your keyboard. If you love Honkers a lot, then this game is for you (the art is cute and I really liked the rolling Kotobird when you entered the link for the first time). This game is quite entertaining especially if you’re waiting for your downloads to be done or you’re just completely bored during the day. 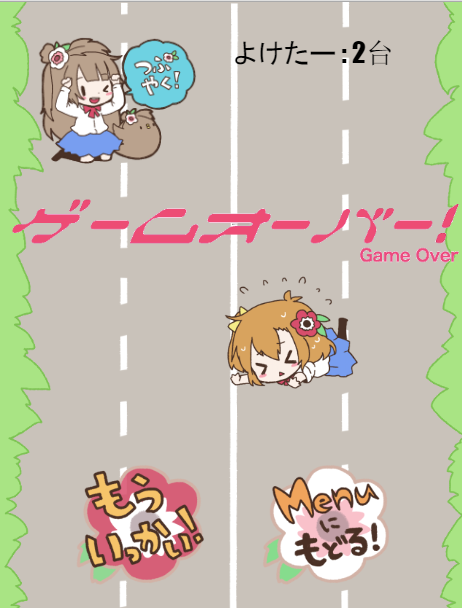 You can play the game here and honk your way to reach a high score! Update: I also forgot to add that if you click on Chibi Eli, you’ll be able to play her aside from Honkers. Previous Kantai Collection Report – Sortie Maps, Sortie Maps, Sortie All the Way!